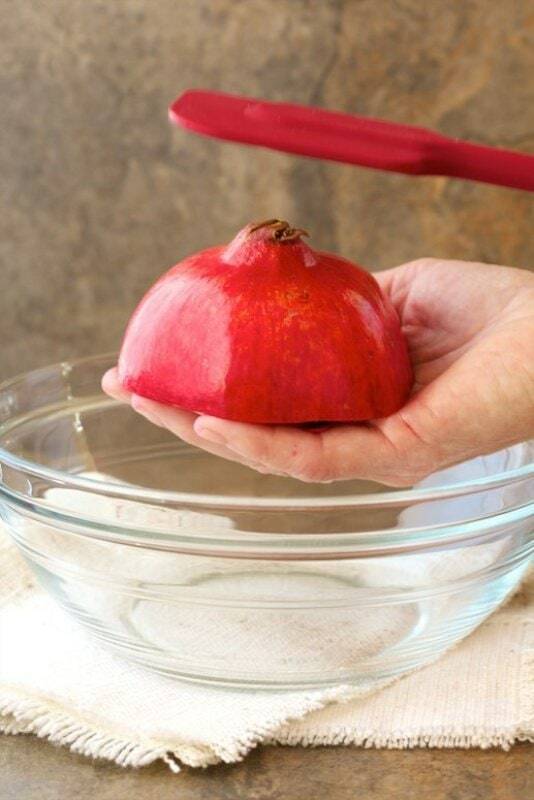 This super easy way to remove pomegranate seeds is amazing! And it takes less than a minute for a whole pom – no fuss, no mess, no water! If you’ve ever felt intimidated by pomegranates, this post is for you! 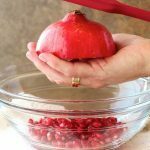 This easy way to remove pomegranate seeds technique totally eliminated my fear of the beautiful, crimson fruit. Sometimes people ask me, “Do you ever get tired of cooking?” Except for rare occasions, my answer is “no”. But you know what? As much as I love cooking, I have to admit there are certain foods I steer clear of because they intimidate me. I either don’t know what to do with them or they seem just too complicated to deal with. Pomegranates fell into that category for a long time. 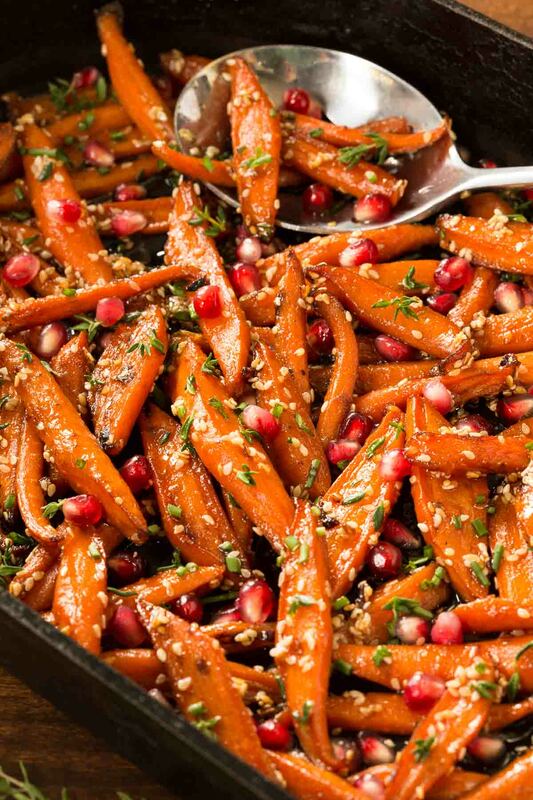 As lovely as the ruby red arils (seeds) are in both savory and sweet recipes, the techniques used to extract them just seemed so fussy and messy. Those “in the know” swore by the underwater method; “cut the pom in half then submerge it in a bowl filled with water. Pick out the seeds allowing them to sink to the bottom of the bowl and discard the membrane and rind which floats to the top. Lastly, strain the seeds. 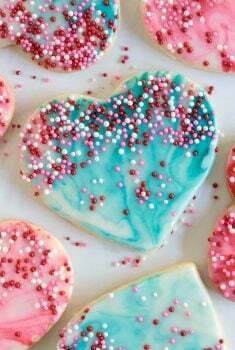 “Voila, you’re done!” they proudly proclaimed. That was way too much work for me. So, when I really wanted pomegranate seeds, I would buy them at the market in little packages, the work, already done for me. But that presented another problem. A tiny portion of these little gems is ridiculously expensive. Consequently, I didn’t buy them very often and sadly, pomegranate seeds were not a part of my everyday ingredient arsenal. I’m hoping you’ll become one too, since pomegranates are known as a superfood with tons of wonderful health benefits, including fighting cancer and heart disease, as well as lowering blood pressure and cholesterol. They’re also loaded with B vitamins, potassium, and folic acid. Next time you’re at the market, be sure pick up a pom or two and try out this amazing technique. Wash the pomegranate well before starting. Any time you’re cutting into a fruit or vegetable with a skin or rind, you take the chance of introducing bacteria from the outer surface into the edible portion. After washing, slice the pomegranate in half horizontally. Place the pomegranate, cut side down, in your non-dominant hand with your fingers spread apart. 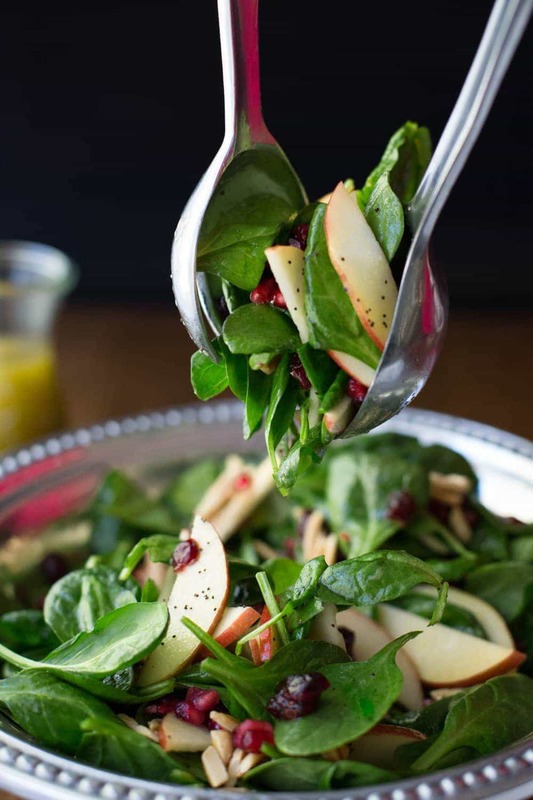 Place a deep, medium-size bowl under your hand with the pomegranate. Take a sturdy spatula or a wooden spoon (if I have a choice, I really like a sturdy wooden spoon best) and begin to whack firmly on the top surface of the pom. This is where some people go wrong. They try this technique and it doesn’t seem to work – they’re tapping, not whacking! If you tap too gently, the seeds will NOT be released. Don’t be afraid to give it some good, hard whacks – go ahead, get all your frustration and anxiety out. You’ll feel much better and you’ll have something beautiful to show for it! For demonstration purposes, I have the bowl set on the countertop. When I actually do this, I like to have the bowl down in the sink. It prevents a mess and it gives you a good angle to do the whacking. Continue to firmly tap (oops! sorry, I meant to say – WHACK) all over the top of the pomegranate until all seeds have fallen out. You can turn the pom over at any point to see if there are areas where the seeds seem to be “sticking”. If so, focus your whacking on those areas until all seeds are in the bowl. Repeat with the other half. You’ll have a bit of white membrane mixed in with the seeds. Just pick this out and discard. 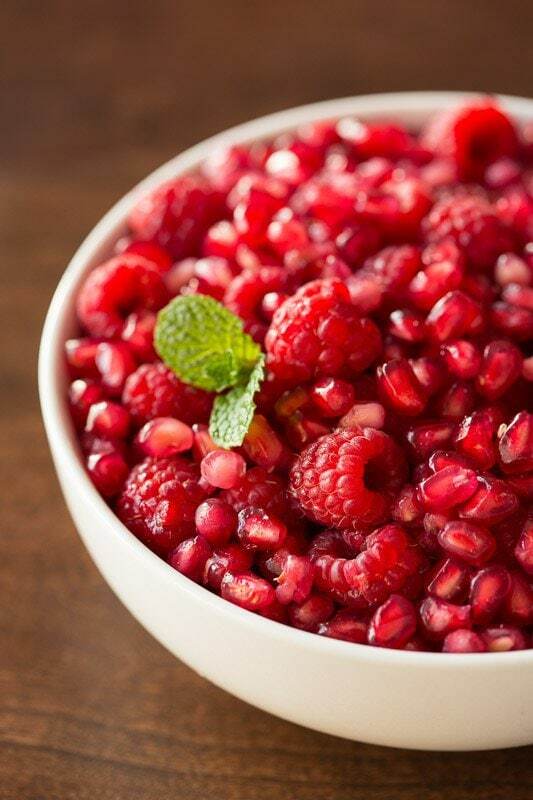 Store pomegranate arils (seeds) in the refrigerator in an airtight container or zippered bag. Arils will keep this way for 4-5 days. They can also be frozen and stored for several months. 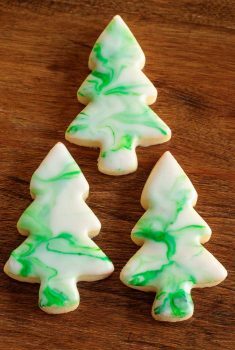 To freeze, line a sheet pan with parchment paper or waxed paper. 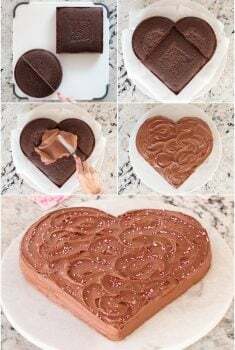 Spread arils in a single layer, uncovered, until frozen, 1-2 hours. Once frozen, transfer to an airtight storage container or freezer-zippered bags. 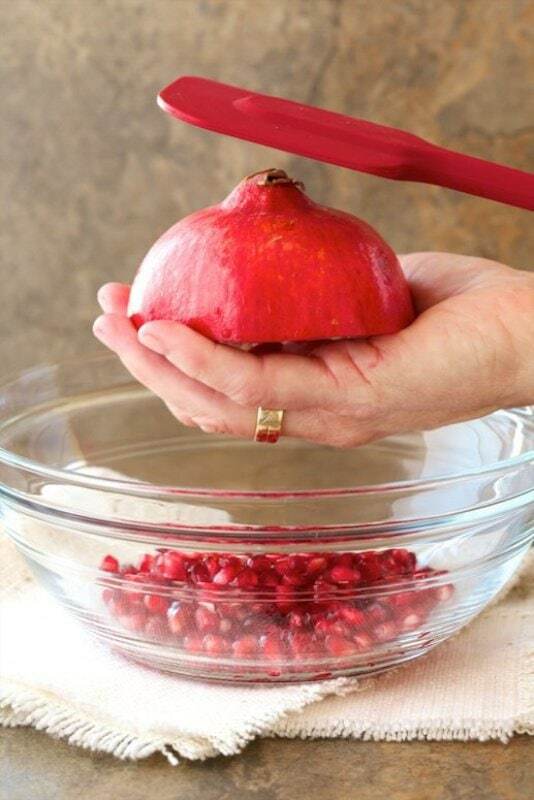 That’s it – The Easy Way to Remove Pomegranate Seeds. Super easy. Try it, you won’t even believe how simple it is! Bye-bye expensive pomegranate seeds! P.S. If this technique doesn’t seem to work for you, you’re probably not “whacking” hard enough. Start from fairly high up and give it a good whack. Don’t be timid! A sturdy spatula or wooden spoon seems to work the best. The only other issue is an unripe pomegranate. But for, the most part, the poms you buy at the grocery store are picked in their ripe state so this isn’t an issue. This post was originally published back in 2013. Too important to be buried in the Café archives (well over 1,000 recipes) we’ve spiffed it up a bit and are republishing it for your fall and winter (pomegranate season) enjoyment! Cheers! 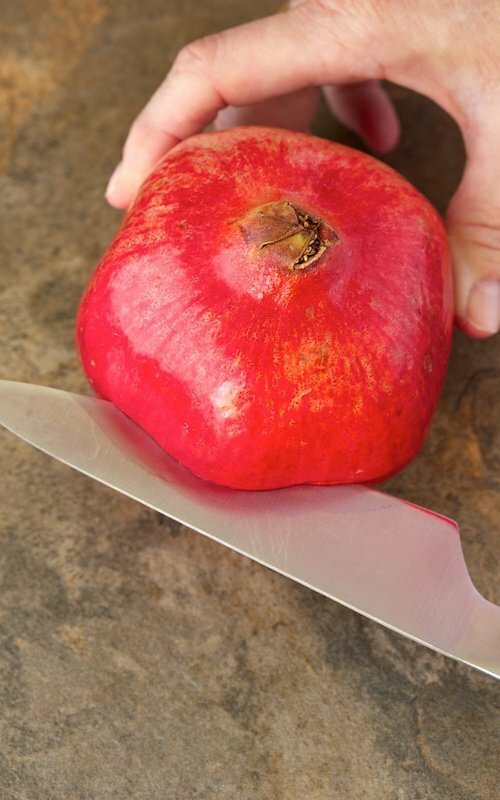 This Easy Way to Remove Pomegranate Seeds is utterly amazing! And it takes less than a minute with no fuss, no mess, no water! Wash the pomegranate well. Any time you’re cutting into a fruit or vegetable with a skin or rind, you take the chance of introducing bacteria from the outer surface into the edible portion. Slice the pomegranate in half horizontally. Take one of the halves and hold the cut side down in the palm of your non-dominant hand over a medium-size bowl. Spread your fingers a bit and position the pomegranate over them. Take a sturdy spatula or a wooden spoon and begin to tap firmly on the top surface of the pom. Don't be afraid to give it some good whacks. If you tap too gently the seeds will not be released. The seeds will begin to fall through your fingers into the bowl. Continue to firmly tap (whack) until all seeds have been removed. Repeat with the other half. Store pomegranate arils (seeds) in the refrigerator in an airtight container or zippered bag. Arils will keep this way for 4-5 days. They can also be frozen and stored for several months. To freeze, line a sheet pan with parchment paper or waxed paper. 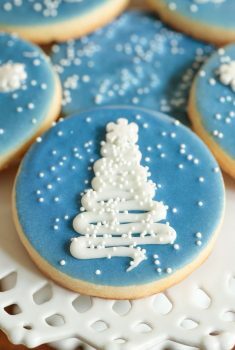 Spread arils in a single layer, uncovered, until frozen, 1-2 hours. Once frozen, transfer to an airtight storage container or freezer-zippered bags. Nutrition Facts are for 1 medium size pomegranate. This method worked great – but I wonder what you do with the juice in the bowl – do you drain them? I like to drain them and save the juice. It’s wonderful to add to orange juice (pour the oj first, then add a little of the pom juice – it turns into a beautiful sunrise!). It’s also great in cocktails! You know that meat tenderizer in your kitchen drawer!! hit it with the flat side of that. it works amazingly well. Love this method! Very satisfying. I’m glad Hades never thought of this, or winter might have been a lot longer!😉 Thanks for sharing! Thanks for sharing this again and I hope you had a wonderful Thanksgiving! Awesome! Whacked the heck out of the first one and ended up with pith, no big deal, but with the second one, gave it a couple of good whacks, turned it inside out, and all the little seeds popped right out and no pith! Thank you….thank you!